Merchants have to overcome a new challenge: to adopt the necessary technology to develop personalized and omnichannel marketing strategies which ensure that brands are perceived as authentic and accessible. If one considers that in Brazil alone the Generation Z represents over USD 35 billion in annual spending power and the Latin American Millennials have an e-commerce activity above average, then it's urgent to exchange tactics. 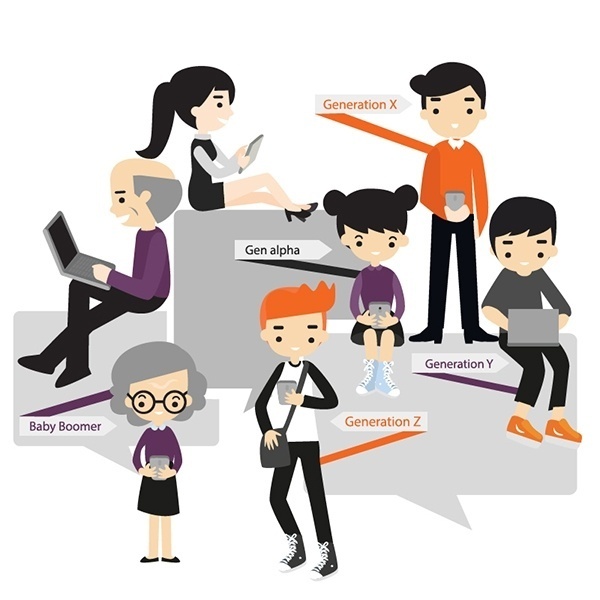 As generations, both the Millennials and the Gen Zers are universal concepts, the fact is that they have some differences in behavior according to the geography to which they belong. Since LATAM is a heterogeneous geo-economy with a wide cultural diversity, it's convenient to address these younger consumers' behaviors across different countries. With people born between years 1981 and 1996, the Millennials are a generation of transition, ready for innovation and a generation that uses a mix of online and in-store channels to shop for products across a wide variety of categories. Latin American Millennials have confidence in a better future, Peruvians and Colombians are the leaders with the highest confidence rate (93%). 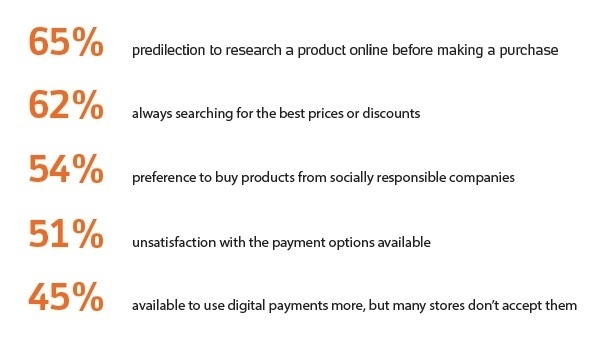 They are the largest age group (30%) and are increasingly impacting the growth of e-commerce. The rates keep pace with global consumerism as 70% Brazilian Millennials buy online, followed by 67% Mexicans, and 59% Argentines. Born between the years 1997 and 2012, the Generation Z is growing older and is starting to have income at its disposal. As their spending power increases, the Gen Zers are becoming a top priority to marketers and decision makers - and in the short term, they'll become a significant part of the population. In Brazil, i.e., the quota is almost 17%. According to Staffing América Latina, these youngsters are pragmatists and prefer financial security to entrepreneurship. They value personal communication and use social media to build their brands, and expect free, authentic and secure digital experiences. Since the Gen Zers were born into a digital world, they anticipate brands to create a seamless and unified experience across in-store, digital and mobile. As expected, the members of this generation feel at ease while using technology for financial transactions, including mobile payment apps. Traditional marketing strategies will not captivate the members of these generations, and companies must work hard and go an extra mile to offer something of value that engages them, especially the younger ones, the so-called first "born digital" generation. They are experts on social media and influenced by channels such as Instagram or YouTube, so merchants must use these platforms to reach them and promote engagement. Keep in mind that brand loyalties are set when people are in their early 20s and you must grasp this opportunity to instill yours. Since LATAM is a market full of cultural nuances and local payment solutions, your international business can choose to pair its marketing efforts with the experience and know-how of a payment aggregator such as BoaCompra.